It's November. Outside, the sky is dark gray and the rain is pouring down heavily against the tin roof of the school. In front of you is a math exam. It's difficult to answer the questions - not because they are actually difficult, but rather, you and forty other students are trying to complete the exam in a dark classroom, under the light of a dim single solar-powered bulb. Your mind starts to wander and you think about how you can possibly do your homework in the dark later. From schools to homes, the lack of energy affects many people in Malawi. Currently, only 12% of Malawi's population is connected to the grid - in rural areas, this falls to about 5%. Often, people rely on kerosene lamps for their light source and on charcoal and firewood for their daily cooking needs. According to Flame Tree Initiative Country Coordinator and founder of Zuwa Energy Ltd., Jones Ntaukira, Malawians spend approximately 40% of their income on energy sources. This Giving Tuesday, join Flame Tree Initiative as we empower aspiring social entrepreneurs to combat energy poverty in Malawi. Your support on this global day of giving will go towards specialized entrepreneurship training designed to help individuals launch social enterprises that provide and promote the use of renewable energy sources. When social entrepreneurs provide sustainable energy solutions, communities thrive. 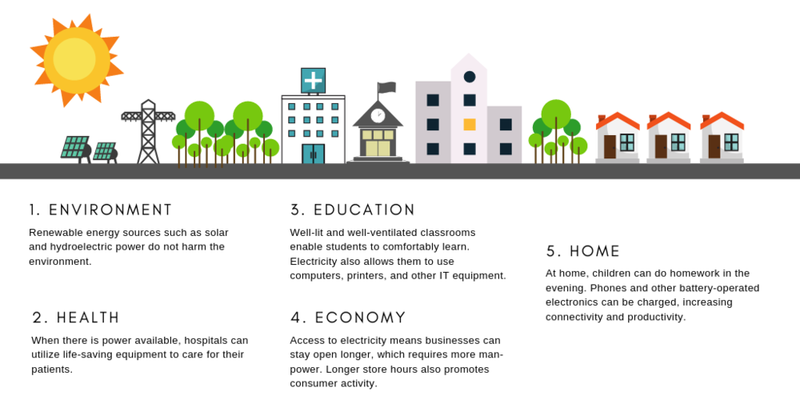 Access to energy can improve communities' living conditions, health, education, economic well-being, and the environment. Moreover, it creates jobs. This year, Giving Tuesday falls on November 27th. Please help us support social entrepreneurs as they light the way to a better future.